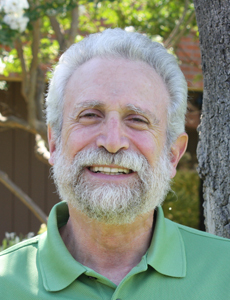 Dr. Errol Leifer is a senior supervising psychologist and neuropsychologist at the Sullivan Center. Dr. Leifer serves in a teaching and supervisory role for other clinicians at the Center. He also conducts Neuropsychological and Learning Disability Evaluations for our young patients. He has more than 30 years of clinical experience. Dr. Leifer earned his doctorate in clinical psychology at the University of Georgia in Athens. He completed an internship in clinical psychology in the Department of Neurology and Psychiatry at Northwestern University Medical School Clinics in Chicago, Ill. His post-doctoral fellowship in clinical psychology was done at Menninger Foundation in Topeka, Kansas. Dr. Leifer holds a diplomate in clinical psychology from the American Board of Professional Psychology and a diplomate in professional neuropsychology from the American Board of Professional Neuropsychology. He also holds a diplomate and Board Certification from the American Board of Forensic Examiners. He holds memberships in several professional organizations including the American Psychological Association, Children's Oncology Group, The Reitan Society, National Academy of Neuropsychology, Academy of Clinical Psychology, The American College of Forensic Examiners and Coalition of Clinical Practitioners in Neuropsychology. Dr. Leifer has held positions as a staff psychologist and Unit Chief at Kings View Hospital in Reedley, Calif.; adjunct professor at the California School of Professional Psychology in Fresno, Calif.; assistant clinical professor at University of California, San Francisco – Fresno. He is an expert case reviewer for the Department of Consumer Affairs for the State of California and makes court appearances as an expert witness. He also currently serves as a Neuropsychologist at Children's Hospital of Central California. Active in the community, Dr. Leifer was the founding president of the San Joaquin Valley Psychological Association and a founding member of the Professional Association of Independent Practitioners. He has served on the board of directors for the Mental Health Association of Greater Fresno.